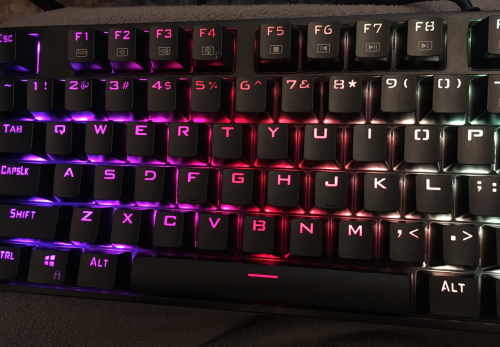 Having a good keyboard for your gaming can make or break your experience. Having any lag in your key response can be the difference between winning and losing a level. 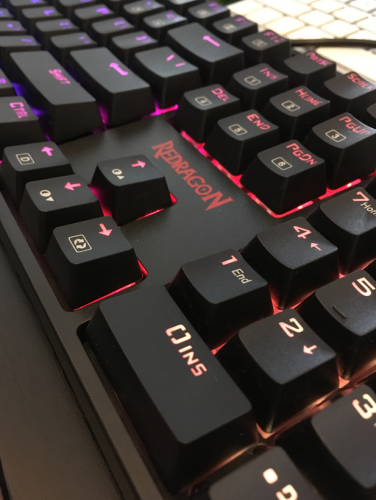 The K582 gaming keyboard from Redrgaon is built to prevent this issue. The keys were incredibly responsive, even through intense gaming sessions, and it doesn’t cost too much unlike some other options out there. 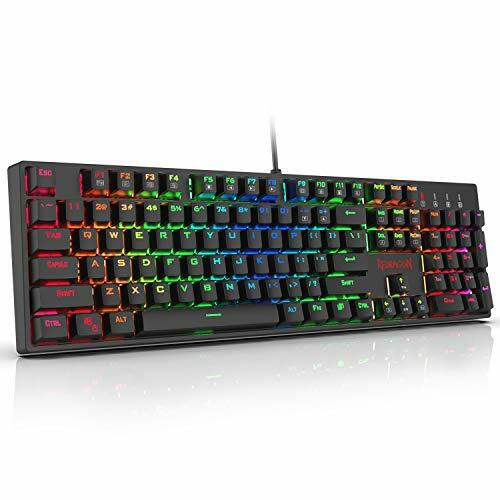 The Redragon K582 gaming keyboard has professional red switches which makes the keys easier to press down and more responsive with your movements. The cord is made out of rubber and the keyboard overall feels really sturdy. I wasn’t nervous to play intense games and be aggressive with the keyboard during intense games. Even when I took some keys off with the key remover (that’s included) you can see that the deeper hardware looks solid, like it could handle a long time of intense gameplay. 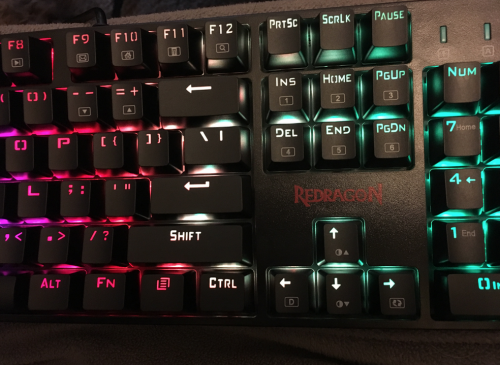 I have a Mac, and thankfully the Redragon keyboard is compatible with both Mac’s and PC’s. 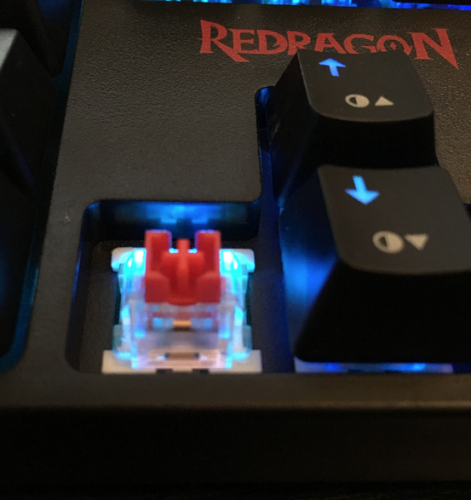 If you have a mac, you have to go into your keyboard settings to make it work with the Redragon K582, but it’s pretty simple. Also with the Mac, you’re not able to download the gaming software, but that’s not a big deal. 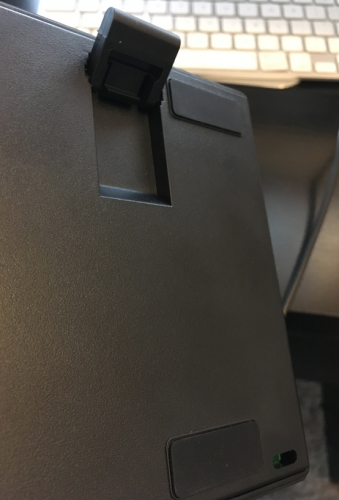 The rubber on the bottom makes it stay in place, even through intense gaming. Even with heavy clicking, I never had to worry about the keyboard moving around. It worked great for all of the games I played and it was quick to respond with every single touch, which was important during intense games. I tried a wide variety of games and it kept up with all of them. Black – Gives a heavier feel for players who like to know when they’re hitting keys. 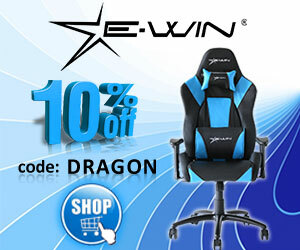 Blue – Makes a “clicking” sound as you type but not ideal for gaming. Brown – Good for both typing and gaming. It’s quieter when you’re typing but it also gives enough resistance to know you’re hitting it each time. You’re also allowed to customize the colors on the keyboard and the specific key functions. Since I have a Mac, some of the features are unavailable to me and I can’t download the software. However, that doesn’t impact the ability for me to use it.